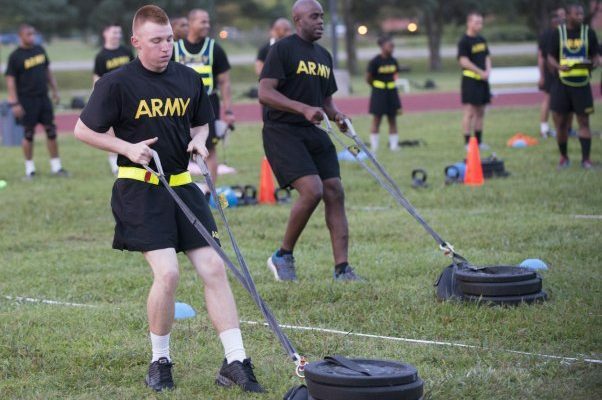 Earlier this week, the U.S. Army announced that it will be replacing the Army Physical Fitness Test designed to better prepare soldiers for combat. A 250-Meter Sprint, Drag and Carry. This is five different events within one event — a 50-meter sprint; a backward 50-meter drag of a 90-pound sled; a 50-meter movement; a 50-meter carry of two 40-pound kettlebells; and a final 50-meter sprint. It measures muscular strength, power, speed and reaction time. All of the events must be completed in 50 minutes or less. Frost said there is mandated rest and a maximum time for each event. Two minutes’ rest between each of the events and five before the two-mile run. 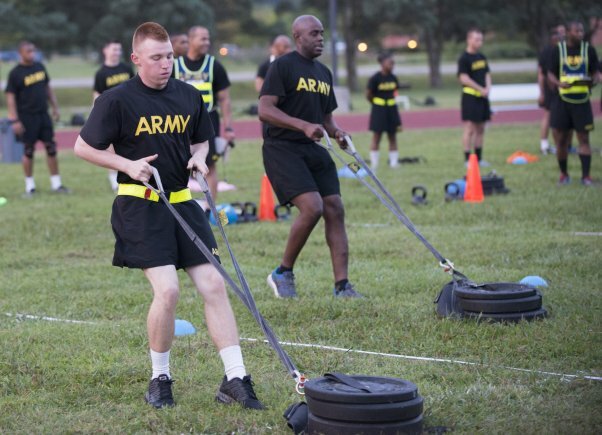 There are still a lot of questions surrounding the new Army Combat Fitness Test to include policies and procedures, as well as alternate events, scoring systems, and more. Starting in October 2019, the ACFT will be fully implemented to allow all soldiers to train up to the new standards. 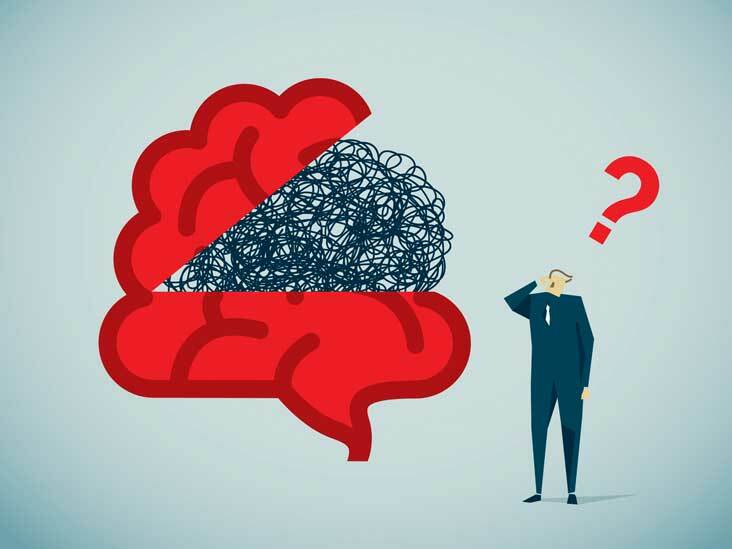 Many have made incredibly strong arguments about the APFT and if it was a valid enough test to effectively measure readiness. May I have your attention, please?! Seriously, we need to talk. We’ll try to make it quick. As you may or may not know, we’ve been pretty busy in life. We all get that way. Well, add to that trying to start a company and get it up and running – yes, it’s a loooooong process – and things tend to take a back seat. For us, it was the show. We know it’s not what any of you wanted, but we needed to put it on pause just so we could keep up with things. And, now that things are coming back to normal somewhat, we think it’s about time to think about Season 4 of The Stafford Voice Show. But… things will be a little different. The show you came to know will not focus its energy only on politics. 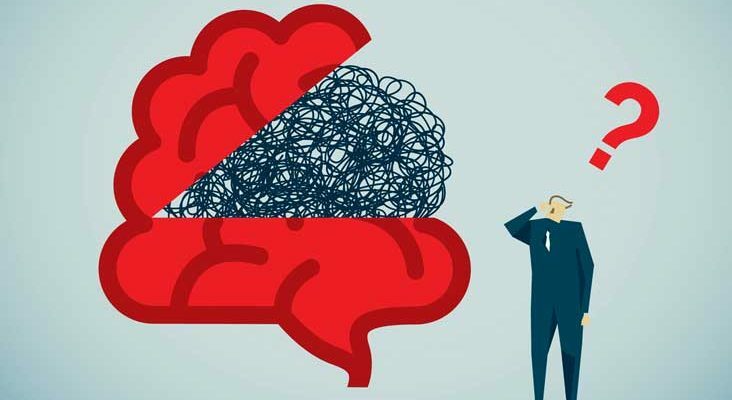 We’ve given it much thought, and come to realize that the political nature of things today is adding much too much stress in our lives. It just was NOT healthy! So, what did all of that thinking bring us to? We realized that we want to talk. About stuff. Lots of different stuff. Stuff like society, culture, life, marriage, parenting, politics, religion, books, music, comedy, history. BREATHE!!! The list goes on and on! With that being said, the show will go on! Cue the excitement. We have yet to completely work everything out in our heads, but we wanted to update you as soon as we decided on things. What we have decided is Sunday evening. We have decided to continue with the format many of you love in being able to chat with us while we are live. We’ve also decided to keep things family-friendly keeping true to you feeling like you’re at the table with us. Look, we could go on and on about all of this, so we’ll spare you all the details. Just know that we’re coming back and it’s going to be a lot of fun. We hope you like what we have planned! Pro-Trump vs Anti-Trump? One in the same! I’ll admit, trying to figure out just whose side you’re on these days is hard work. One second, you’re a pro-Trump MAGA Trumpian. The next, if you’re so inclined to disagree with him or anyone else on his side, you’re anti-Trump whatever else nasty someone comes up with. The truth of the matter? It doesn’t matter whose side you claim, it’s one in the same. The final straw for me is a combination of two things. Both of which are rather hypocritical to say the least. Immigration and the Press Secretary. I’m not even gonna get into the entire argument of illegal immigration and the thought that Trump is responsible for ripping children away from their parents. Nope. Nevermind the fact that this has been happening since B.J. Clinton was in office. No, we can’t deal in the simple fact that illegal immigration has been an ongoing issue dating back to Kennedy and prior. Facts don’t matter, only how things make us feel. 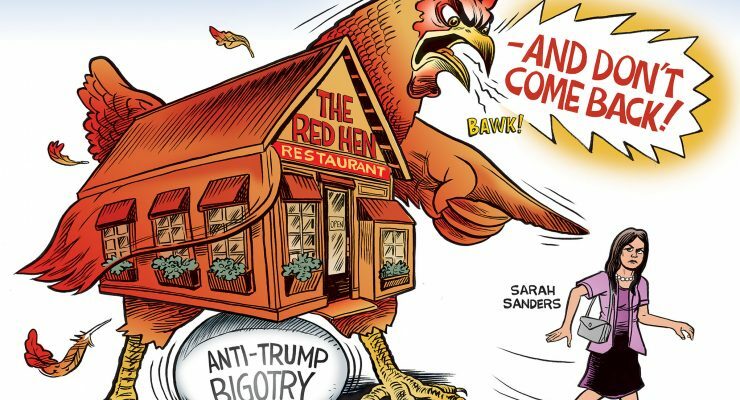 But this entire White House press secretary Sarah Huckabee Sanders thing of being asked to leave the Red Hen restaurant in Lexington, VA.
“This feels like the moment in our democracy when people have to make uncomfortable actions and decisions to uphold their morals,” said Stephanie Wilkinson, co-owner, Red Hen restaurant in Lexington, Va.
Here’s where it takes that cake of hypocrisy. It’s been a few years, so maybe we need to refresh our thoughts. Take a moment to remember the cake bakers in Colorado who told a gay couple they wouldn’t bake a cake for them. Liberals blew their wad over it! Ultimately sending it all the way to the Supreme Court. How’s that saying go? Do as I say, not as I do? 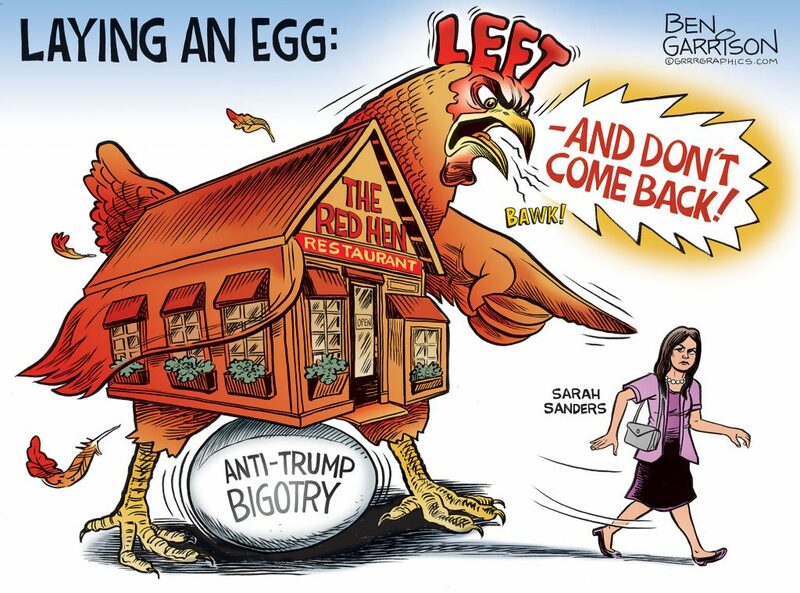 Liberals and the anti-Trump crowd don’t like Sanders because she’s a member of the Trump administration, so they throw her and her party out of the restaurant. Because now they want to “uphold their morals”? But, at the same time, they’re the ones who want to force someone to bake them a cake as fast as they can even when that cake-maker wants to say no to “uphold their morals”? So, now I want to go full circle back to the title of pro-Trump and anti-Trump people being one in the same. You see, it doesn’t matter who you are anymore. You’re either with them or against them. You can’t be both. Quite frankly, it’s disgusting! The pro-Trump crowd protests those who are anti-Trump, and the anti-Trump protests anything that has to do with Trump. It’s completely stupid! We have serious issues that need to be dealt with, but we have lowered ourselves to arguing who can and cannot eat at certain places depending on who you support politically. At some point, we need to set aside these PETTY differences and work toward a resolution on some things. Honestly, at the core, the majority of people aren’t that different on where they stand. And, unfortunately, it’s the ones who can scream the loudest who get heard. We all experience changes in our lives. Some good. Some bad. Some we expect. Some we don’t. But, we ALL have things in our lives that change. The other side of change is what happens to us. We grow. All of us. Each one of us is impacted in one way or another by a change. But, it’s ALL about how we react to the changes that help us grow in good or bad ways. 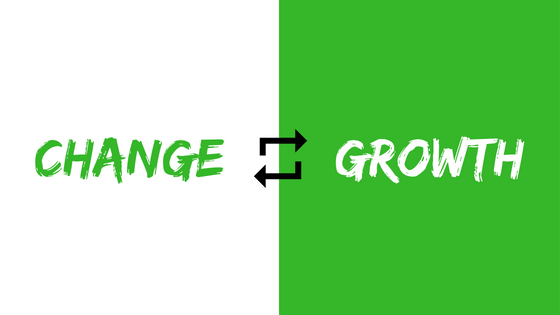 Change brings growth and that growth brings more change and so on and so on. We can look at this is one of two ways: Good or Bad. It’s up to you! How do you want to view the changes in your life? Do you want to grow in positive ways? Or, would you be satisfied with becoming a more negative person? It doesn’t, or at least it shouldn’t matter whether the change is planned or unexpected. You should always embrace it. Speaking from personal experiences, at first it may not seem like the change was intended for you. It may seem like it’s meant for someone else to benefit from your changes. But, the more time you allow the change to take place, you will come to realize it was for you all along. So, despite whether the changes that are happening around you, both in and out of your control, know that you will grow from it. Know that others around you will grow from it as well. The more you grow, the more changes you can expect. Which, in turn, will bring more change. Embrace it! President Donald Trump took to Twitter to urge Republicans to use the Nuclear Option and saying there would be no deal with the Democrats on the Deferred Action for Childhood Arrivals (DACA). 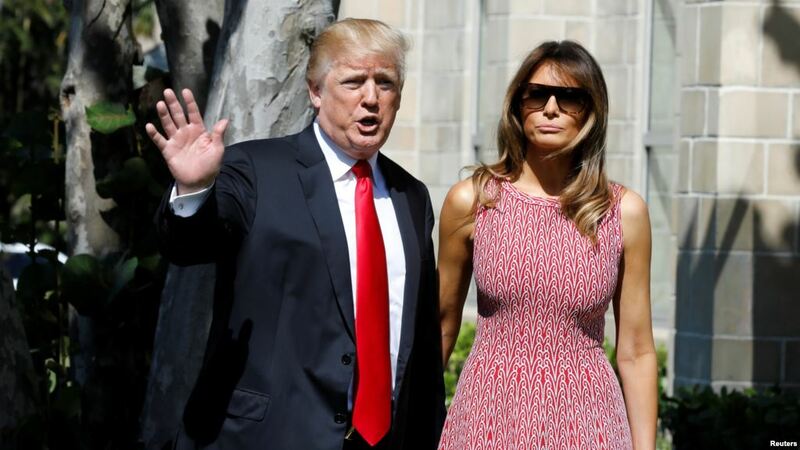 Following up on his twitter remarks, while heading to an Easter service in West Palm Beach, Florida, he again called on Mexico to do more to help on the border. King even went on to say that the reason for the second amendment was to fight off slaves. Yeah, no, I don’t think so. The reason for the second amendment was and is to support our natural right to self-defense. 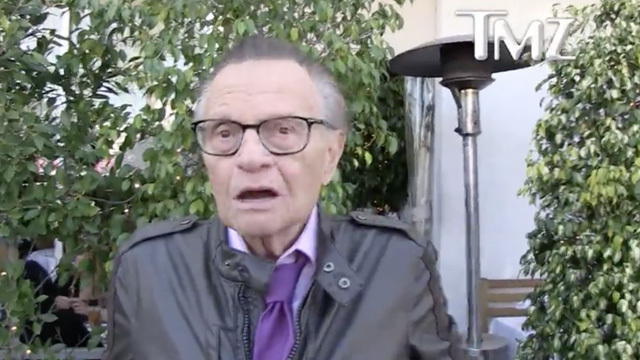 But, let’s not forget that Mr. Larry King is not at all accurate is his version of history for the call of the 2nd amendment. 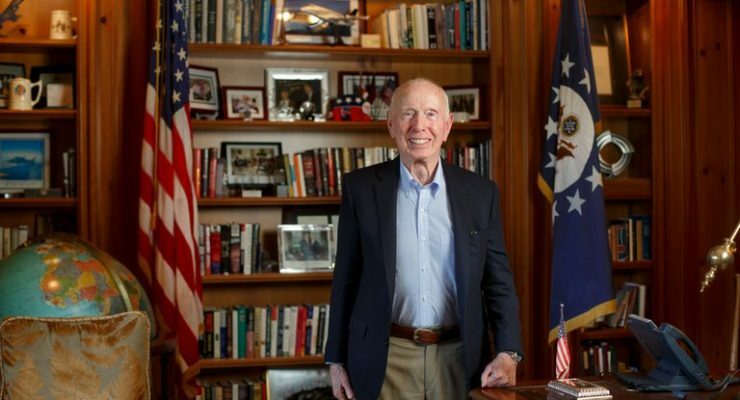 Al Hoffman Jr., a longtime Republican donor based in Florida is vowing to withhold cash until new gun laws are passed. Hoffman issued his demands in an email to a short list of Republican leaders, including Florida Gov. Rick Scott and Jeb Bush. Here’s what I say, KEEP YOUR MONEY! 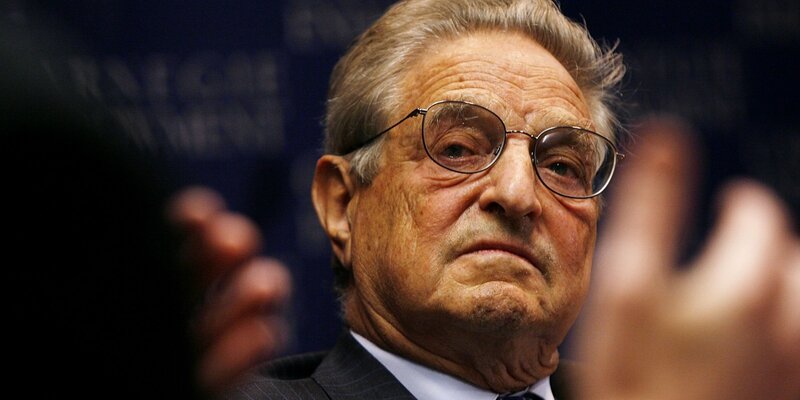 Understand this: In 1994, under Democrat control, a federal assault weapons ban was enacted. Sure, that lapsed back in 2004 with Republicans in power. But simply banning something and saying it’s illegal won’t do anything about stopping it. We have laws that say it’s illegal to drink and drive. Does that stop people from doing it? NOPE! We have laws that say it’s illegal to do drugs. Does that stop people from doing them? NOPE! As a matter of fact, California and other states are putting in safe places for people to go and take their illegal drugs with some supervision. You know, in case someone passes out or something. We have laws that say it’s illegal to enter into this country without proper permission. Does that stop millions of people from entering the country illegally? NOPE! As a matter of fact, those on the left, and some on the right work very hard to promote it. But… and this is a BIG but… none of that matters! They don’t care and don’t want to talk about it because, you know, GUNS ARE BAD MKAY?! They argue for stricter gun laws. Many of them call for the complete banning of guns. Yes, the same people calling for the banning of guns are the same people who just years ago were praising Atwood’s The Handmaids Tale. Yes, these are the same people who now protest the Netflix drama because it’s about oppressing women under total government control. Yes, the same people who want the government to come and take all the guns saying only police should have guns. Yes, the same people who protest the police saying they have too much power and go around killing people, because, after all, you know, GUNS ARE BAD MKAY?! Talking in circles is the sign of an ignorant argument. The fact remains: Criminals are always gonna criminal. THEY DON’T CARE ABOUT LAWS! Some people have a hard time trying to digest issues like net neutrality. Sure, with all the differing opinions and various news outlets reporting on the issue, it’s easy to understand why. Yes. Burger King. Please pull forward to the first window. Sometimes, in order to make a point, you have to illustrate the absurd with the absurd. 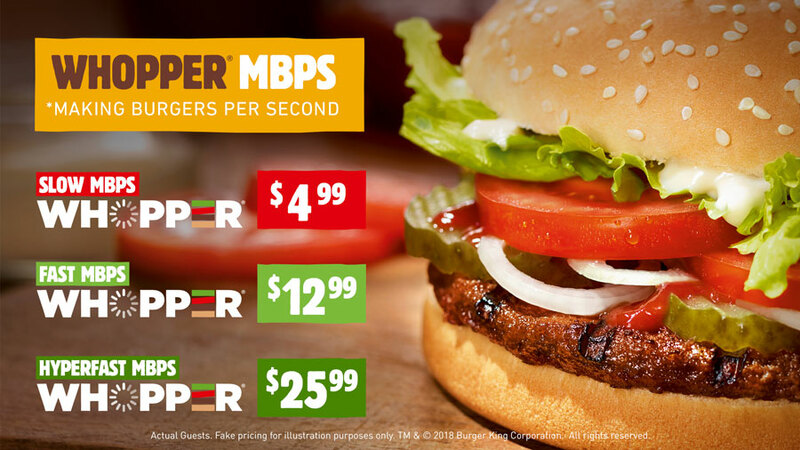 Using the infamous Whopper, Burger King explained net neutrality in simple to process terms. I guess you could say Burger King flame-broiled the net neutrality debate.